Behold David Beuhler, the place kicker from USC and 5th round draft selection of the Dallas Cowboys. Riding a mini horse just tells me he has a sense of humor. It is those velcro sneakers that let me know he’s retarded. Think his cleats will have laces? 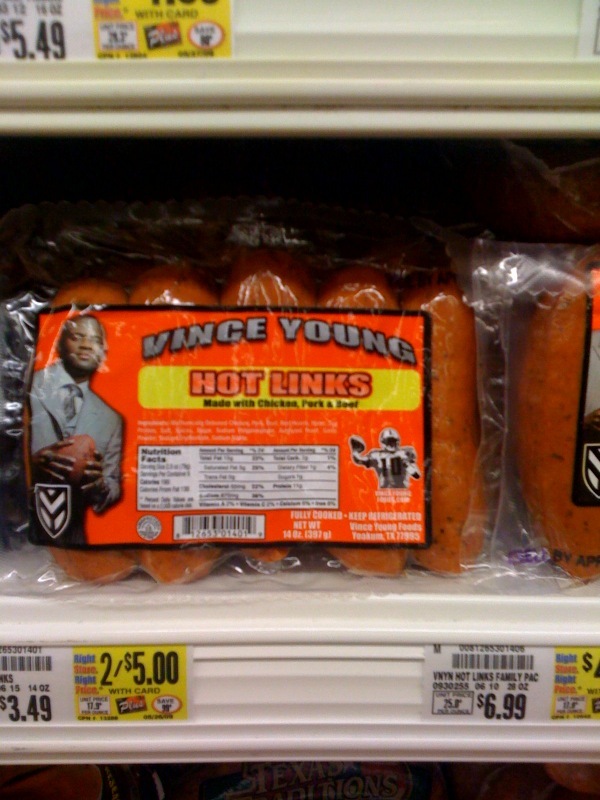 Some people didn’t believe me when I reported that Vince Young wanted to share his sausage with the world. Here is photo evidence and it’s important to note that Young has it right: When appearing on a package of hot link one should always wear a suit and tie. It seems like yesterday we saw Young failing at the forward pass in the NFL and today the weekly special at Kroger. I wonder if the Vince Young Hot Links Family Pack comes with a prescription for Prozac and a complimentary trip to therapy. Seems strange that Vince Young is selling Hot Links considering his Wonderlic score resulted in a court order forbidding him from being near an open flame. Are you down in the dumps because the T.O. experiment was a colossal failure? Maybe you’re depressed because the Steelers are the one true king of the NFL. Well…I have just the solution for you. Alone, angry, depressed and drunk all at once. During the CBS pregame last Saturday the most enlightening interview with Pacman Jones was aired in which Jones admitted the obvious. Of course all of this was ruined with in the appearance of his attorney. After seeing this interview I’m convinced that we should enter Pacman in the Scripps Howard National Spelling Bee. Next thing you know these kids will all be wearing sweatpants to nightclubs and getting their Johnsons on National TV! 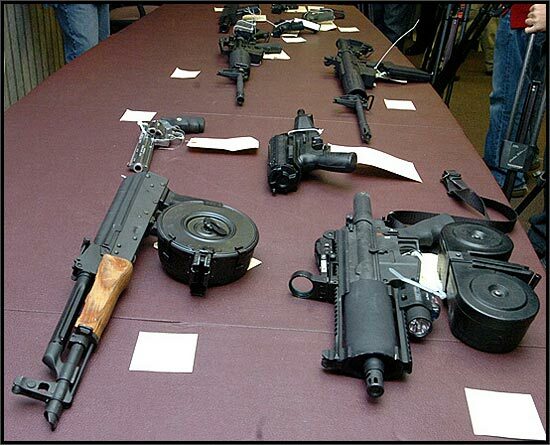 This is a story that could make Pacman Jones reminisce about the good ole days of his youth. Apparently the state of Florida holds the super bowl of Pop Warner teams and as many of you know whenever a super bowl is in town so is trouble. The Eagles of Dorchester (Massachusetts) & the Eagles of Edgewood (Rhoda Island) decided to have an all male version of Westside Story in the hotel cafeteria which led to both teams actually being booted from their hotel. For punishment they should have forced them to spend 4 hours at It’s A Small World. “The Dorchester Eagles, ages 11 to 15, and the Edgewood Eagles of Rhode Island were booted from their Disney World hotel on Thursday after multiple members of the two teams got into a physical fight in the hotel cafeteria, said Pop Warner spokesman Jason Howarth. As a result, the Dorchester Eagles’ future with Pop Warner may be in jeopardy, he said. Pop Warner teams have team presidents now? Maybe Phil Savage does have a future. To make matters worse the Dorchester team received about $4000.00 from the NFL to help cover costs of the trip. I’m sure Goodell is thrilled to hear about that. Each and every player on that team now has an immediate 4 game suspension waiting for them if they ever get to the NFL. Wait… These kids are screwed. With this behavior it’s a wonder Jerry Jones has asked for the roster to help identify the troublemakers and offer them a future contract. The Saints & Poo: Will the Mystery Man be Found? The New Orleans Saints might be a middle of the pack football team, but they’re savvy car shoppers. “Saints owner Tom Benson owns various car dealerships. We’re told that, each year, he brings a mini-fleet of new cars to the team facility in the hopes of getting some of his employees to make a purchase. As we hear it, the players don’t really appreciate the sales pitch, due in part to the perception that they aren’t offered much of a deal. This year, some of them made it known. Then again one could blame this on the government; after all if FEMA had provided them with Port-a-Potties, this would never have happened. That’s a nice car…for me to poop on!